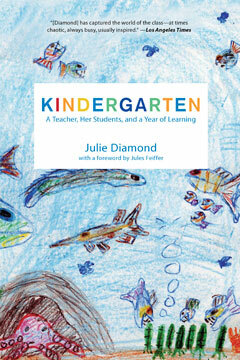 Hailed by renowned educator Deborah Meier as “a special pleasure to read,” Kindergarten explores a year in the life of a kindergarten classroom through the eyes of the gifted veteran teacher and author Julie Diamond. In this lyrical, beautifully written first-person account, Diamond explains the logic behind the routines and rituals children need to thrive. As she guides us through all aspects of classroom life—the organization, curriculum, and relationships that create a unique class environment—we begin to understand what kindergarten can and should be: a culture that builds children’s desire to understand the world and lays the foundation for lifelong learning. Kindergarten makes a compelling case for an expansive definition of teaching and learning, one that supports academic achievement without sacrificing students’ curiosity, creativity, or development of social values. Written for parents and teachers alike, Kindergarten offers a rare glimpse into what’s really going on behind the apparent chaos of a busy kindergarten classroom, sharing much-needed insights into how our children can have the best possible early school experiences.